Mother Nature is so darn fickle. It was just a year ago when Texas was in the midst of a drenching. Rain soaked the landscape from the Panhandle to the Rolling Plains. The snowfall early in 2017 was welcome, too. The first half of the year brought ample moisture, pleasing our farmers and ranchers to no end. Then came Hurricane Harvey’s one-two punch along the coast; it arrived as a hurricane and pounded the Coastal Bend with storm surge and heavy wind and returned a few days later as a tropical storm and inundated Houston and the Golden Triangle under 50 inches of rain. The Texas drought was over! Or so the National Weather Service proclaimed. Hold on a minute. What happened? It stopped raining in the Panhandle. Around 40 percent of the state is undergoing moderate to severe drought. The Panhandle has been dry for 107 straight days and is approaching an all-time dryness record, which was set in — gulp! — 1902. 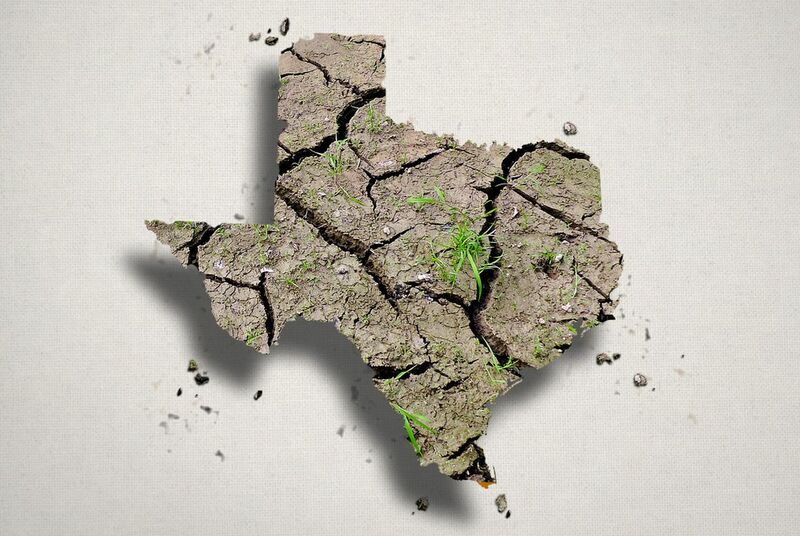 As the Texas Tribune reports: The Texas Panhandle has become ground zero in a drought that has crept into much of the state just five months after Hurricane Harvey — including areas that suffered massive flooding during the storm. When he was governor of Texas, Rick Perry said it would be helpful if Texans would pray for rain. The 2011 drought was a punishing event and the governor sought to look toward the heavens for relief. It came eventually. Did the prayer help? It’s equally tough to prove or deny categorically. We are left, then, only to believe. With that, perhaps it’s time we sought help once again from the Almighty.